Often in this world, we see that people are not satisfied with their looks. While there is no harm with wanting to look like however you wanted to look, but if you see these celebrities who have undergone such drastic plastic surgery you would wish you have stayed otherwise. Celebrities who look flawless on-screen also want to look better by any means and sometimes they choose plastic surgery to look better. Yes, today we are talking about celebrity plastic surgery fails. These before and after celebrity plastic surgery fails will surely scare the hell out of you. These plastic surgeries gone wrong are a lesson for all of those who wish to look better by choosing these means. Without wasting further time, let’s have a look at the famous celebrity plastic fails. By the way, who don’t know the late King of Pop Michael Jackson? If you know him, you probably would know that why he is the first name in our list of celebrity plastic surgery fails. 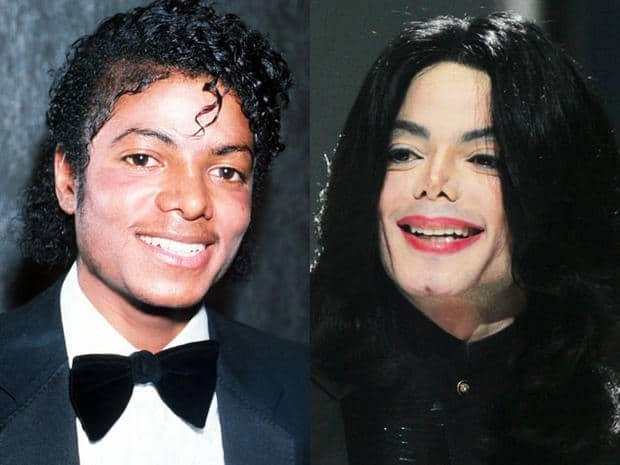 Over the time, MJ’s facial structure changed so many times that we can’t even count it. It was rumoured that he went under the knife for more than 100 times. If you are looking for the worst celebrity plastic surgery fails, then we will probably name her on the top of the list. 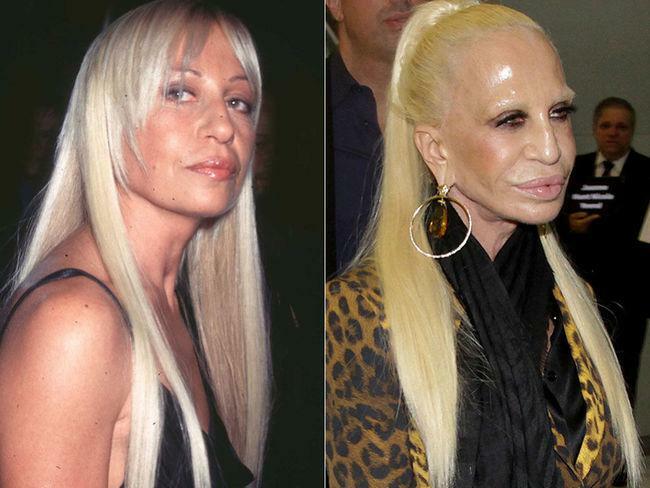 Donatella Versace is an Italian fashion designer and current vice president of the Versace Group. The first thing you will notice about Donatella is her overly plump upper lip. Moreover, she is a real example of how plastic surgery can make your skin look waxy. Axl Rose is an American singer, songwriter, musician, and the lead vocalist of the hard rock band Guns N’ Roses. As per the rumours, the singer went for Botox injections, facial fillers, nose job and cheek lifts. 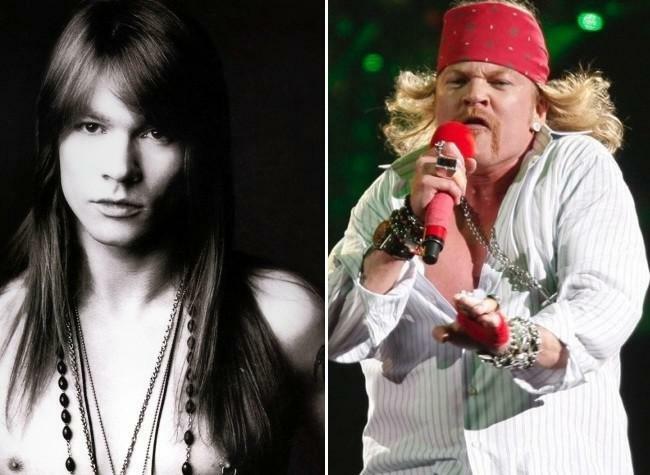 Axl Rose’s plastic surgery is one of the unfortunate examples of male plastic surgery gone bad. She is also a famous American actress and television host. 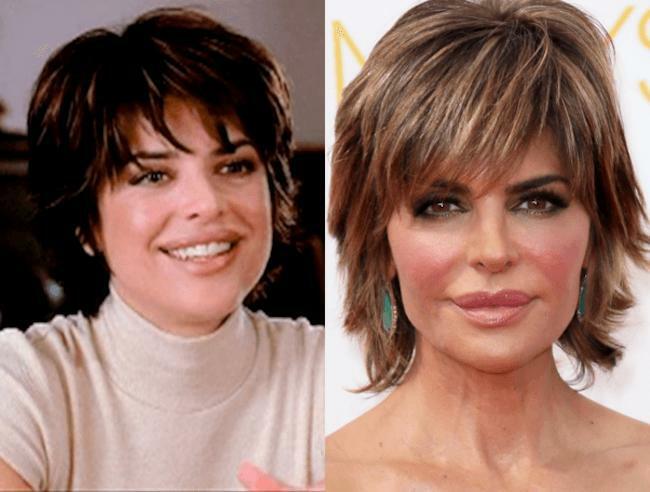 Former Melrose Place star Rinna, has admitted to having injections of Juvederm in both her cheeks and lips. “When you change your face, you don’t look like yourself,” Rinna told Momlogic.com. Jocelyn Wildenstein is a New York City socialite known for extensive facial surgeries. The lady is rumoured to have spent more than $4 million on plastic surgery, apparently done to please her husband, who loved big cats. The most astonishing fact is that Jocelyn is happy with her new face and find herself beautiful. But in our view, it’s the worst celebrity plastic surgery fails ever. 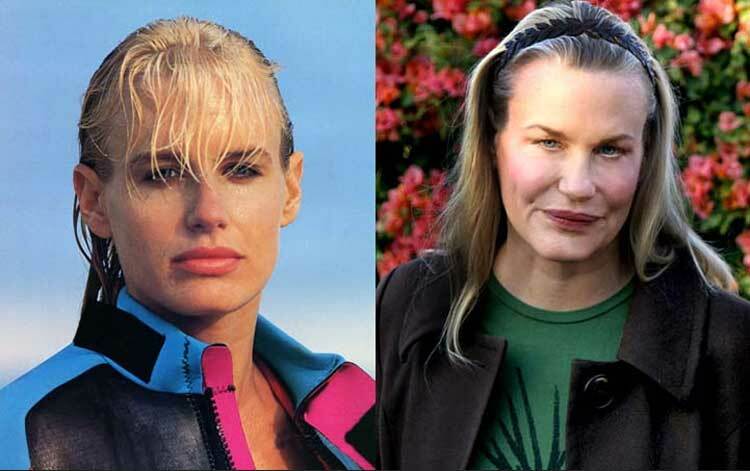 Daryl Hannah is a famous American Actress, best known for her role in movies like known for her performances in the films Blade Runner, Roxanne (1987), Wall Street (1987), and Kill Bill (2003). She has changed her beautiful appearance to the weird one. Moreover, she looks weird after having some plastic surgery procedures done. 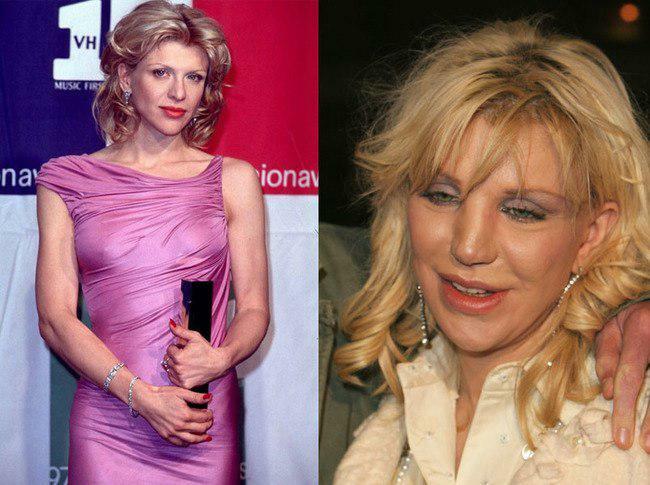 Courtney Love is a renowned American musician, actress, and visual artist. She has never completely denied going for plastic surgeries. Moreover, she said “C’mon, I took advice from Goldie Hawn when she said I should get a facelift at 35!”. But we can see from her pictures that too much of something is never a good thing, especially when that too much is Plastic Surgery. Meg Ryan’s case can be counted among the worst celebrity plastic surgery fails in the world. For those of you who don’t know her, Meg Ryan is an American actress and producer who has worked in some classics namely ‘When Harry Meets Sally’. While many believe that she looked beautiful and pretty before her plastic surgery, but she never regrets the same. Melanie Richards Griffith is a renowned American actress. When the actress reached 50, she went under the knife to improve their physical appearance. But unfortunately, she ruined her face due to the cosmetic procedures. 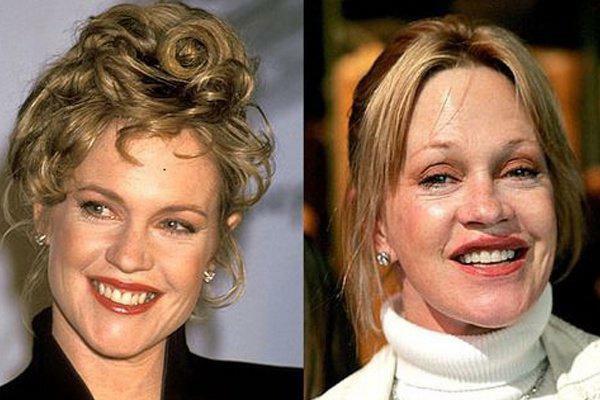 Melanie Griffith plastic surgery might be the example of the unsuccessful surgeries done by Hollywood celebrities. 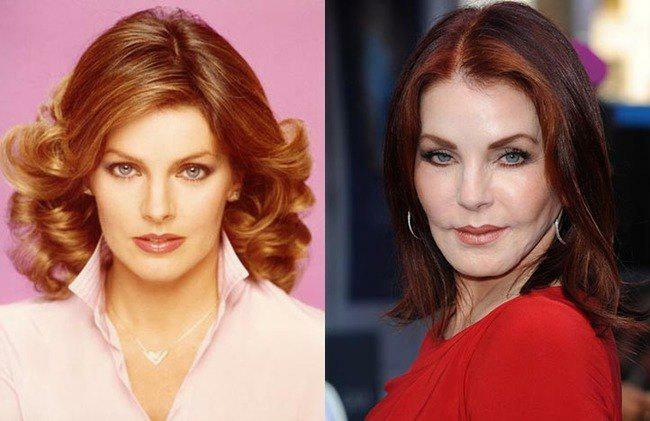 Last on our list of celebrity plastic surgery fails is Priscilla Presley. She is an American actress and business magnate. She looked beautiful before she went under the knife. Moreover, she admitted that she was operated on by an unlicensed cosmetic surgeon which ultimately led to terrible changes on her face. Also, let us know which one of the celebrity plastic surgery fails really scared you? If you liked this post, share it with your friends. I am not sure that the person you are showing as a pre-surgery Jocelyn Wildenstein is really her.